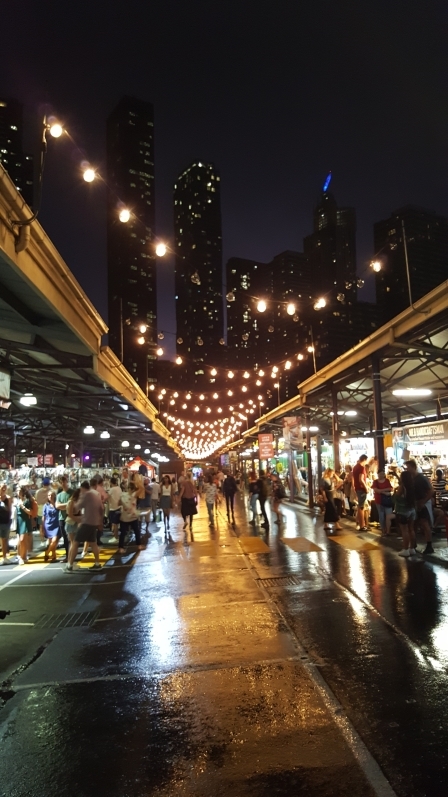 The photo above was taken from a very popular spot in String Bean Alley during this Wednesday's Night Market. The rain induced reflections added a new dimension to the shot as does the eerie glow behind the tall buildings. That was caused by lightning strikes near the city. The photo tells us something else because normally crowds would block the reflections on the ground but this was a small crowd and it showed in trader's takings. A rather severe rain storm on the cusp of opening (5pm) and the first week of kids back to school probably had something to do with that.